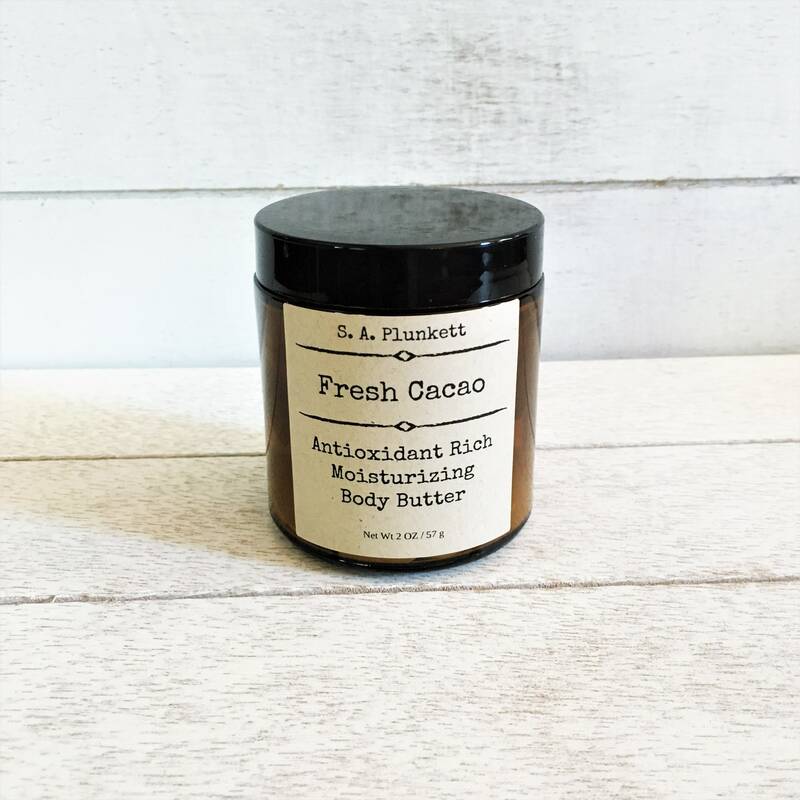 With a light and fresh natural scent of cocoa, this rich body butter will leave your skin soft, smooth, and hydrated. 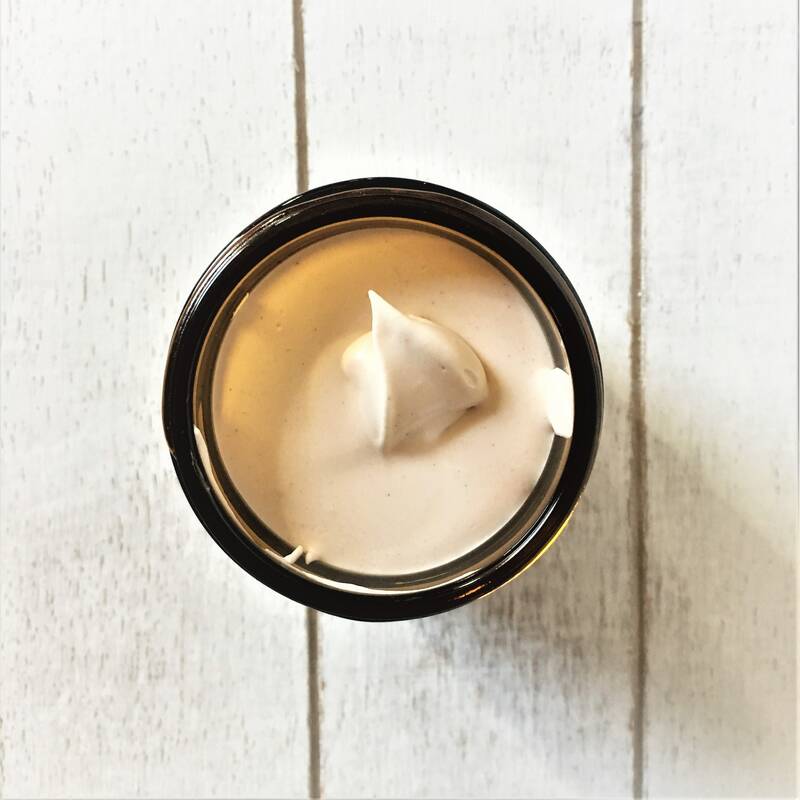 A select blend of natural and organic oils, butters and botanicals create the perfect, easily absorbed, richly hydrating moisturizer. Raw cocoa powder adds to the antioxidants already present in the beneficial oils, helping to further soothe, soften, and nourish skin. Organic Raw Mango Butter - High in antioxidants, soothing, nourishing, calming, deeply moisturizing. Organic Cold Pressed Sweet Almond Oil - High in antioxidants, lightly moisturizing, skin smoothing and conditioning. The best time to apply a natural, whipped body butter is just after a bath or shower to lock in moisture and keep your skin hydrated all day but it can be used any time. Because this product is all natural, without preservatives, care should be taken to avoid moisture, direct light, and heat. It will last longer if stored in a relatively cool, dark location. Shelf life for properly stored whipped body butter should be approximately 1-2 years from date of purchase. This cream is able to be preservative-free because there are no ingredients that contain water. Introducing water will lead to greater chances of spoilage. 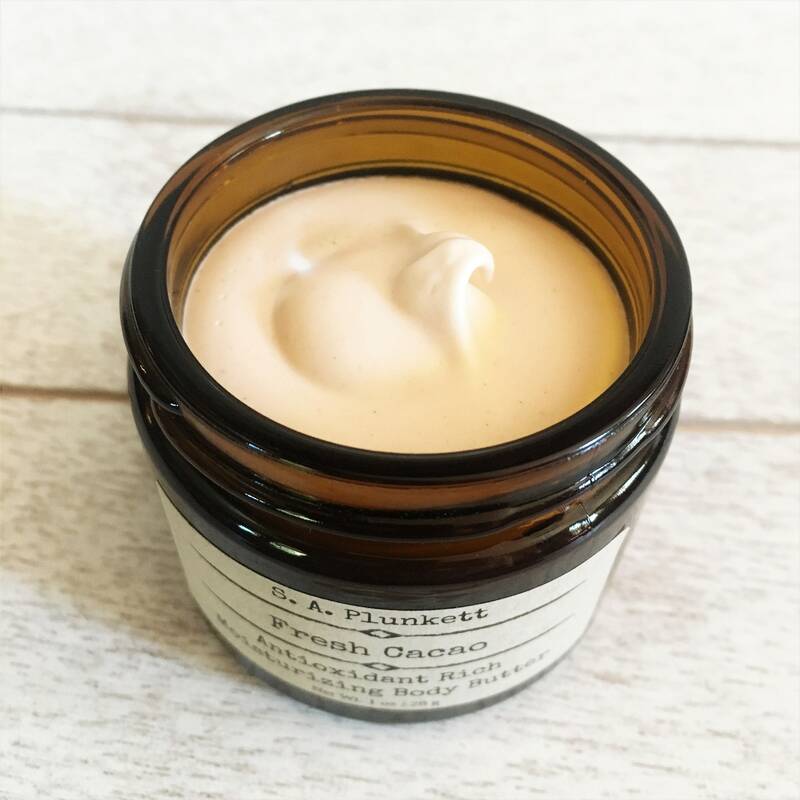 All natural body butters, facial creams and balms may liquefy or melt in hot weather (85 F degrees and above), this will not affect the quality of the ingredients, though texture and appearance of volume may be affected once the product returns to a solid state. S. A. Plunkett Naturals is not responsible for product that melts once it is shipped. To avoid melting, please store in cool area away from direct sunlight. If melting does occur, move product to cool area or refrigerator until it has a chance to return to its solid/semisolid state. I love it so much! Smells and feels amazing. The packaging was gorgeous and the free samples were such a nice addition!